This cute patisserie in the South End is so romantically française that it makes me want to write this entire paragraph in French, but I think my editor would sigh and send it back for a redraft, so I’ll just tell you in English that you should check out the walnut-studded French brownie (pictured at top): surprisingly light—the batter is mixed with meringue—with chocolate ganache and dusted with cocoa powder for a hint of bitterness. During warm weather, chase with orange juice; and when it gets cold, the house hot chocolate pairs well for a doubly delightful experience. 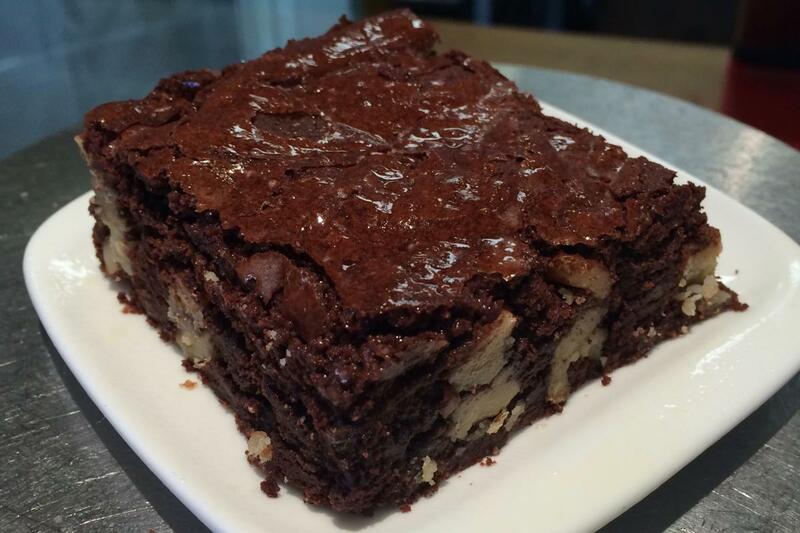 Flour appears on just about every list of “Best [insert name of bakery item]s in Boston,” and their intense chocolate brownie is no exception. The relatively straightforward recipe creates a simple yet memorable fudge-y experience—not too bitter, not too sweet, juuust right—except that it requires TWO kinds of chocolate (unsweetened AND bittersweet!). And speaking of the recipe: if you feel like making her brownies yourself, you can find the recipe in her “Flour: Spectacular Recipes” cookbook. I know that my mother loved me because she would bring home Lakota Bakery’s obnoxiously pretty cookies for me. 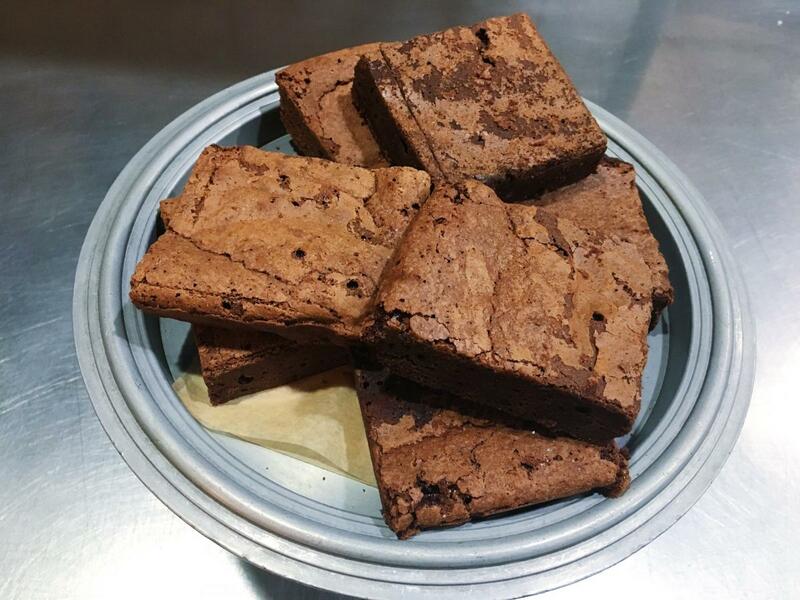 Owner Barbara Weniger focuses on a limited number of bakery items to keep the quality extra-high—don’t look for muffins or coffee here—and thankfully the brownie is one of them. Lakota’s recipe calls for walnuts as well as sour cream to keep everything rich, and even some coffee too. From sweet to savory pies, Petsi Pies has got you covered. 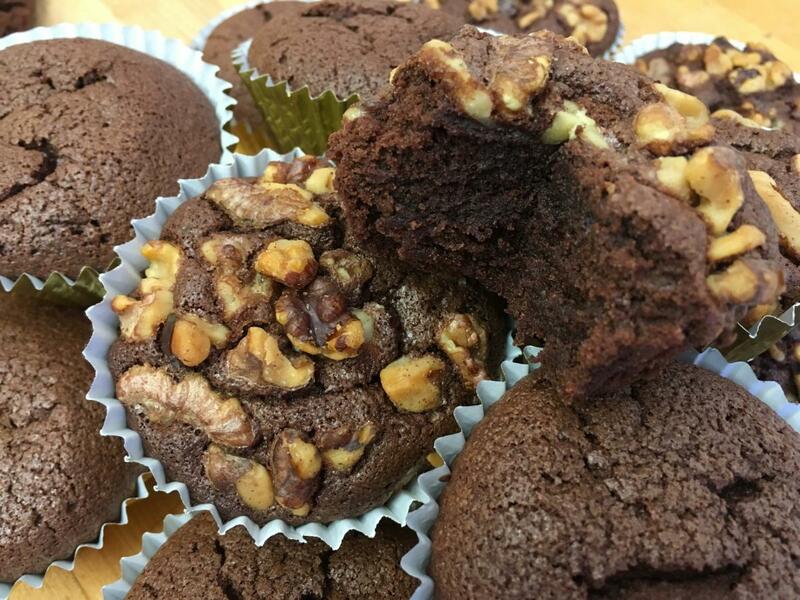 But the Somerville-based bakery also makes amazing scones, muffins, cupcakes, and a walnut brownie that so fudgy it’ll keep your sweet tooth satiated for days. Of the four mentioned, this one may be the closest to Katharine Hepburn’s original recipe: gooey and chock full of walnuts! Petsi also has sister cafes in Cambridge that include a daily selection of their locally-loved pastries.